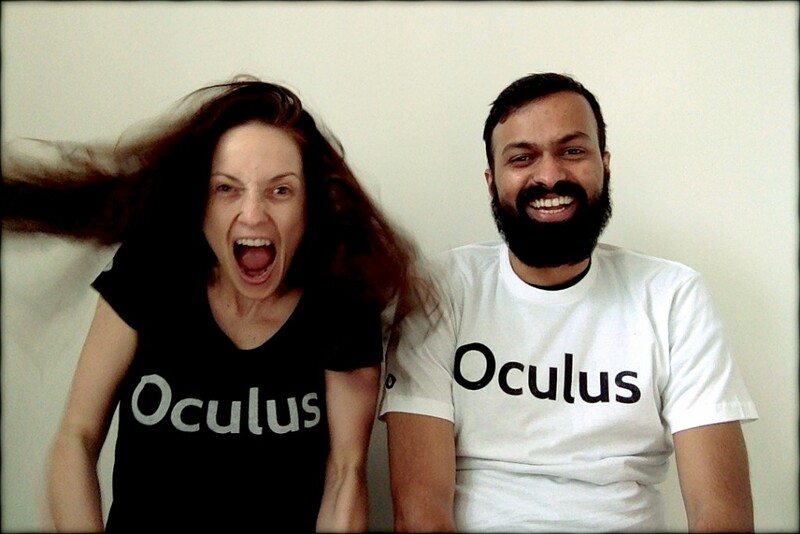 I’ve received a box full of Oculus swag for us all! Below is a photo of the T-shirts presented by Mr. Slash and his white slave. Mr. Slash (aka Shailesh Prabhu) has made a pretty awesome VR game, niVRana, together with Apoorva, which he will expo at Shayla Games on May 22. I’ve played….wait….headbanged it. The two are also the creators of Socioball (which is pretty damn awesome).